Our solution was to weave a subtle but powerful differentiator throughout the website and marketing materials. Eva Carlston Academy’s leadership team is comprised primarily of strong, successful women whose mission is to serve as role models for the school’s clientele. Most, if not all, girls’ therapeutic programs in Utah are founded or lead by men. 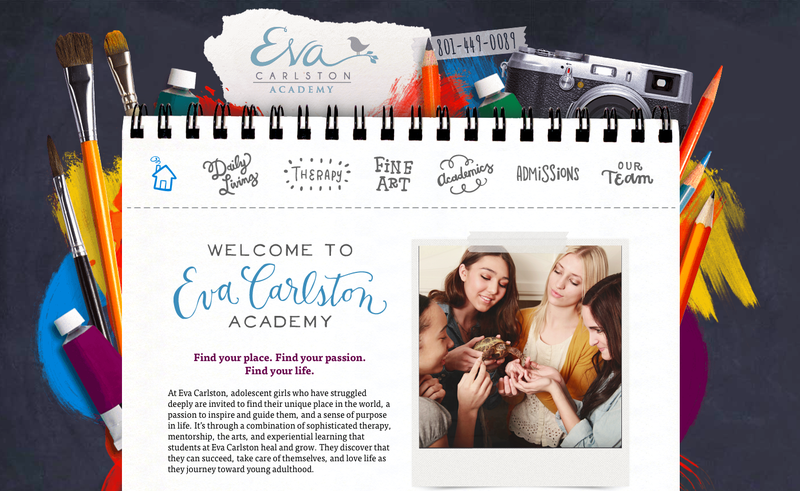 By weaving this important differentiator throughout the school’s communications, we were able to bring the Eva Carlston brand to life in a new and powerful way.